Edgewater Developments newest home under construction. This modern floor plan is 1887 square ft. that features an oversized 724 sq ft attached garage. You begin the tour of this beautiful home with an expansive foyer and roomy closet, which opens up to the great room, kitchen and dining room. This floor plan is desirable to home buyers as the main living area is not visible from the front entrance. Large windows allow for ample natural light to fill this open concept main floor area. The living area has a fireplace for cozy evenings, and the kitchen features Capella Cabinets, quartz countertops, a 7' island, and a walk through pantry to the mud room area with lockers. The powder room is discreetly situated away from the main living area, along with convenient main floor laundry and more closet area near the garage home entrance. Upstairs you discover 3 spacious bedrooms, a 4 piece bath, a bonus room, and the vaulted master retreat with ensuite. The ensuite contains dual sinks and large 48 inch shower with custom tile work.. Buy with confidence as this home comes with the coveted Sask New Home Warranty. Edgewater Developments currently under construction. 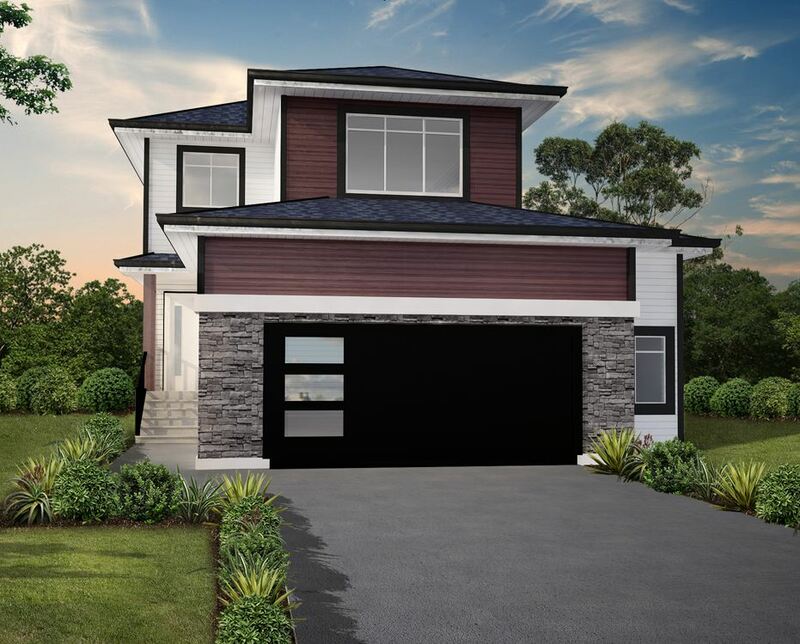 2160 sq ft 2 storey with desirable triple attached finished and heated garage in Aspen Ridge. Upon entering, you will find a soaring 18' foyer. The open concept great room has a fireplace for cozy evenings, and lots of windows for light, which overlooks the 15' x 10' covered deck off the dining area. Upon entering home from the triple heated garage, you find both lockers and a walk in closet. Continuing on through a walk through butlers pantry with sink and bar fridge, you enter into the kitchen with large 9' island, granite countertops and stainless steel appliances. Upstairs you'll find the convenient laundry area with floor drain, 2 bedrooms, plus the master retreat with detailed coffered ceiling, 5 piece ensuite with privacy water closet, another full bath and bonus room with detailed coffered ceiling as well. Buy with confidence as this home comes with the coveted Sask New Home Warranty. SOLD! 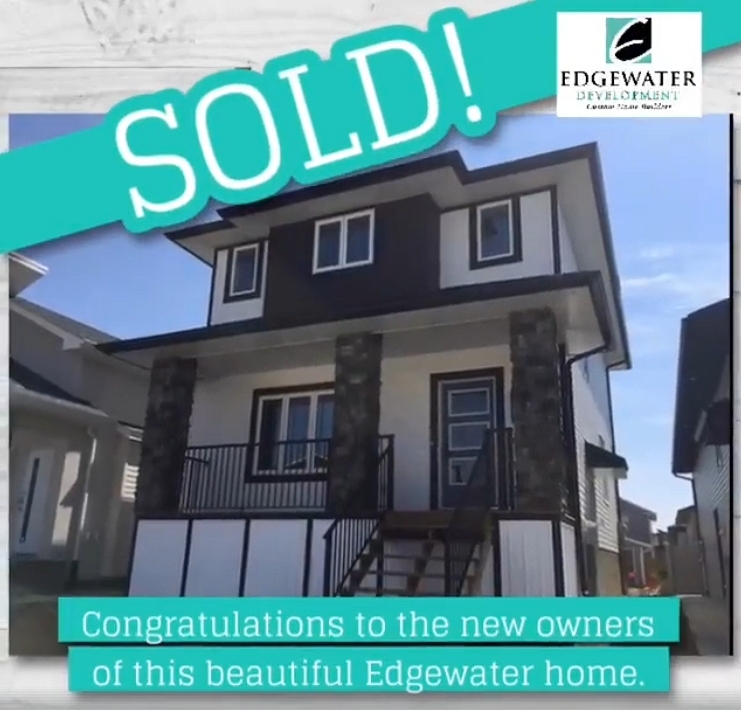 Congratulations to the new owners of this beautiful Edgewater home! 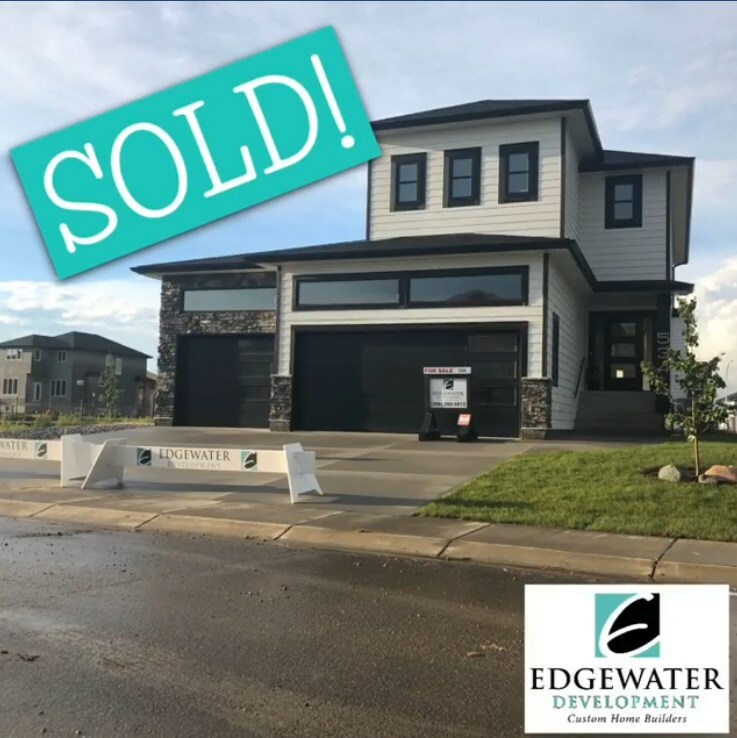 We are so excited for the all memories you will create in this stunning home. Missed out on this one? We can build you one just like it! Contact us for details. 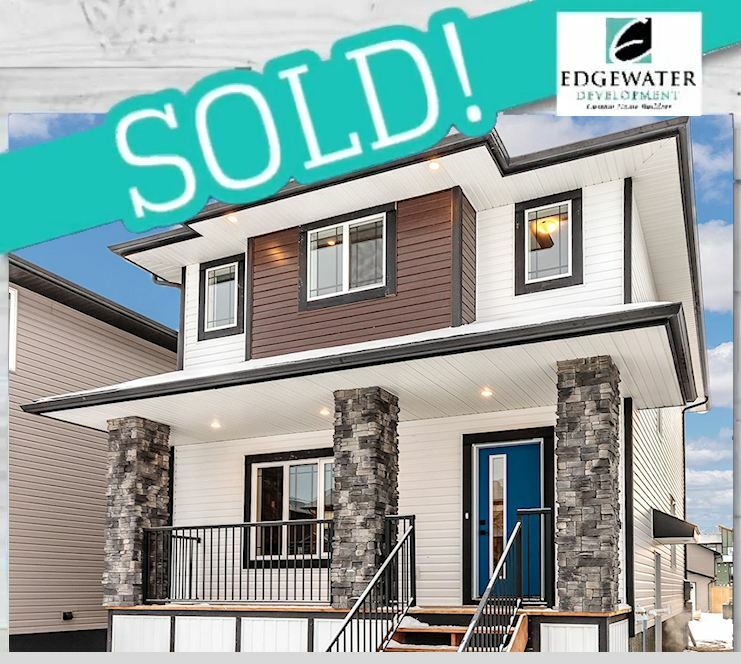 1546 sq ft 2 storey in the vibrant community of Evergreen. This home has great attention to detail with an open concept design. The living room features a beamed ceiling and feature wall with fireplace. The kitchen boasts Capella cabinets, quartz countertops, tiled back splash, a huge 7' island with eating ledge and a spacious pantry. The back door has a closet, (handy when entering the home from the back yard) and the 2 piece bath is discreetly tucked away from the rest of the home. This modern home features 9' ceilings on main. Second floor has 3 bedrooms, master is vaulted and has a huge walk in closet with built in shelving, and 3 pc ensuite with 5' tiled shower. Handy 2nd floor laundry with floor drain and lots of storage in extra large linen closet. Comes with a 22x22 parking pad. Sk New Home Warranty. Not your typical cookie cutter 2 storey. Missed out on this one? We can build you one just like it! Contact us for details. 1932 sqft 2 storey with a triple attached fully finished heated garage. The wide open spacious entry leads into a great room with high end flooring, with a feature wall accented by white brick surrounding the fireplace. High gloss Capella Cabinets complete with undermount lighting, backsplash, and Quartz countertops set the tone for the stunning 7' island with butcher block Walnut countertop. The pantry is a walk through design which leads to a mudroom complete with cabinets, hooks & bench. Upstairs a flex bonus room wired for speakers, second floor laundry room (with its own floor drain) complete with laundry sink & quartz countertops. The Master retreat is spacious, ensuite has heated floors, double sinks, freestanding soaker tub, 5' tiled shower, and an organized custom built walk in closet. All Stainless Steel kitchen appliances included. Central air, triple pane argon windows, LED lights, GST & PST included. Sask New Home Warranty. Missed out on this one? We can build you one just like it! Contact us for details. 3 bedroom, 2.5 bath 2 storey. 1546 sqft, this home has great attention to detail, with a trendy colour palette, and an open concept design. The great room features a coffered ceiling & a feature wall with a fireplace. The kitchen boasts Capella cabinets, with quartz countertops, a huge 7' island with eating ledge & a spacious pantry. This modern home features beautiful, trendy laminate throughout the main floor. The back entry has its own closet (handy when entering from the back yard) & the 2 pc bath is tucked discreetly away. Master bedroom is vaulted, with a huge walk in closet with custom shelving and 3 piece bath with 5' tiled shower. Ample storage in home with an extra large linen closet beside second floor laundry (with its own floor drain for peace of mind). Central air, HRV, kitchen s/s appliances included. SK NHW. Interior photos are from previous build, same colour palette. Missed out on this one? We can build you one just like it! Contact us for details. 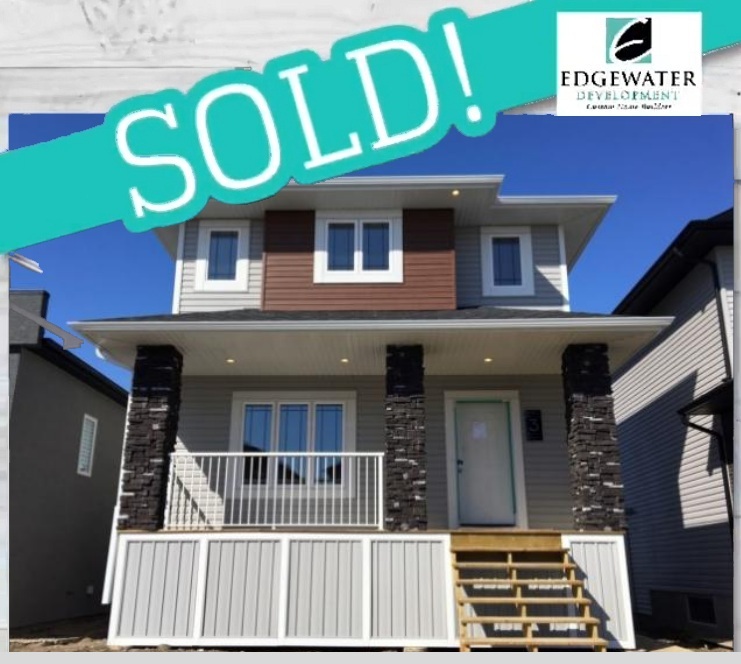 1546 sq ft 2 storey in the vibrant community of Evergreen. This home has great attention to detail with an open concept design. The living room features a beamed ceiling and feature wall with fireplace. The kitchen boasts Capella cabinets, quartz countertops, a huge 7' island with eating ledge and a spacious pantry. The back door has a closet, (handy when entering the home from the back yard) and the 2 piece bath is discreetly tucked away from the rest of the home. 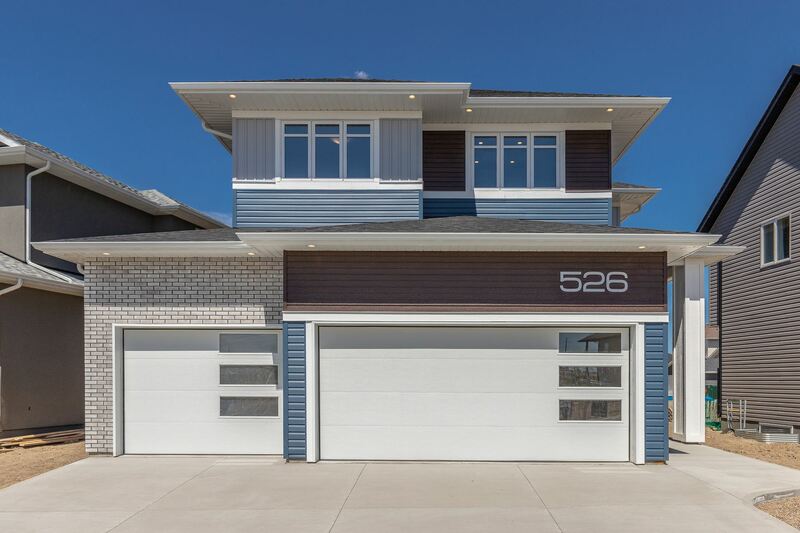 This modern home features 9' ceilings on main,, and gorgeous durable vinyl plank flooring throughout the main floor.Second floor has 3 bedrooms, master is vaulted and has a huge walk in closet with built in shelving, and 3 pc ensuite with 5' tiled shower. Handy 2nd floor laundry with floor drain and lots of storage in extra large linen closet. HRV and A/C for your comfort, triple pane windows for energy efficiency. Kitchen appliances included. Comes with a 22x22 parking pad. Sk New Home Warranty.